The Pro Bowl now has a whole bunch of new rules. It's a fantasy draft format instead of conference vs. conference. Kickoffs and kneeldowns are banned. The play clock will be shorter, but will run after incomplete passes. With today's release of the new uniforms, this Pro Bowl absolutely won't look anything like past ones. 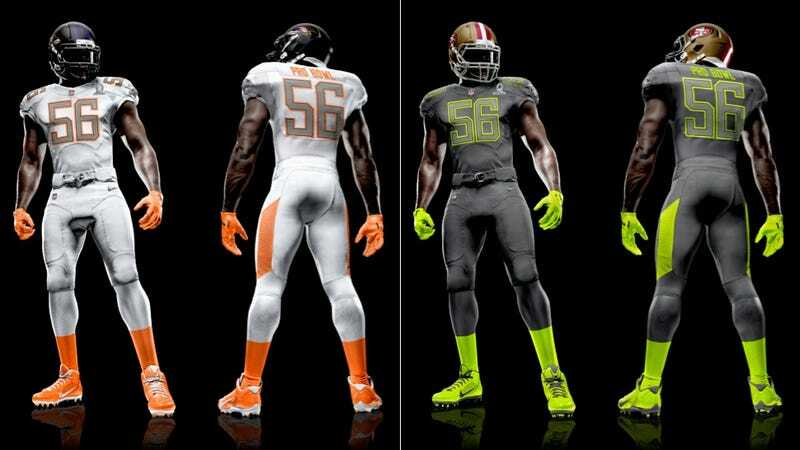 The NFL revealed the new uniforms today, and they're fairly awful. Not that all the old ones weren't, but at least those clearly announced "meaningless exhibition." These just scream college.